We are a leading Manufacturer of Chemical Supplies such as EGMS, Sodium Lauryl Ether Sulfate, Coco Amido Propyl Betaine ( CAPB ), SLS Chemical, Ammonium Lauryl Ether Sulphate, Soda Ash Replacement Powder and many more items from India. We have marked a distinct and dynamic position in the market by providing a high-quality array of Soda Ash Replacement Powder. Soda Ash Replacement Powder products are highly recognized for their unique features. Our experts use the latest technology and optimum quality chemical compounds for processing these products. Owing to their unmatched remarkable quality attributes, Soda Ash Replacement Powders are widely demanded in several industries. Soda Ash Replacement Powder is the common name for sodium carbonate, a chemical compound frequently used in manufacturing, industry, and even around the house. Glass production is one of the primary uses for sodium carbonate. Detergents and cleaning agents may also make use of Soda Ash Replacement Powder, and Soda Ash Replacement Powder can be used in cooking or as a food additive, as well. Sodium carbonate is a natural water softener, which makes it a common additive to detergents. Products used for these purposes are often sold as washing ash or washing soda.Soda ash prevents hard water from bonding with the detergent, allowing it to be distributed more evenly during the washing cycle. 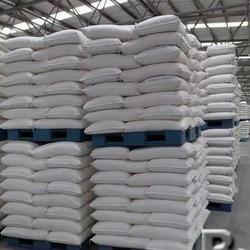 Soda Ash Replacement Powder is also using in textile dying use. Looking for Soda Ash Replacement Powder ?